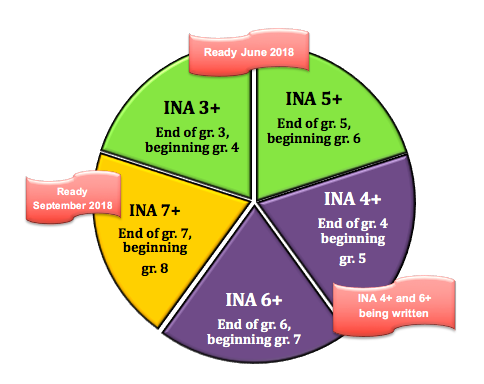 Years ago, the Island Numeracy Network wrote the Diagnostic Mathematics Assessment (DMA) which was used all over the province. Over the years, the assessment was updated to meet changing learning outcomes in BC Ministry Curriculum. The purpose of the assessment was to provide teachers in our province with an effective assessment of student content-knowledge. Important to us all, the DMA was written by teachers for teachers. 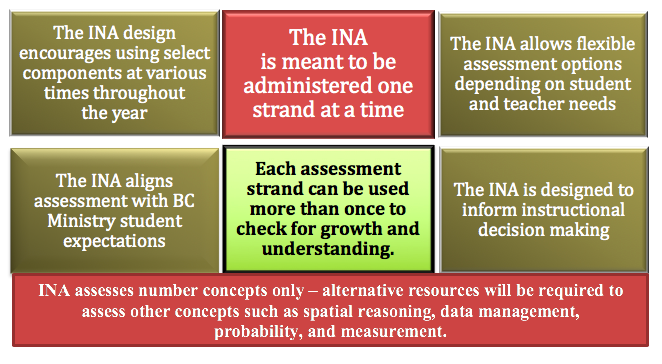 Our new assessment, the Island Numeracy Assessment, or INA, was developed to align numeracy assessment practices with current numeracy learning expectations of BC students. 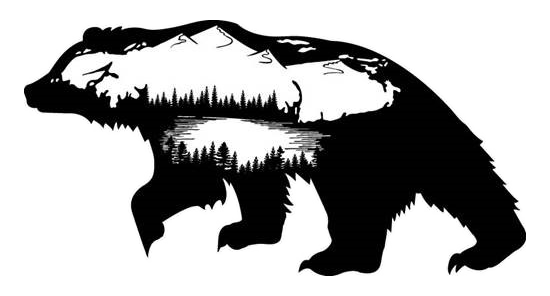 Our team met over a span of two years to prepare this assessment. The project grew from rigorous study of BC’s Curricular Competencies. The design offers comprehensive, ongoing assessment of student thinking and learning. It is our hope that teachers will use the assessment tool to inform instructional decisions and help students become aware of their current level of understanding in mathematics; actively monitoring their own learning. What ideas and resources inform the assessment design? Flexibile Uses – there are many ways the assessments can be used. They are NOT just summative assessments to be used for each grade. Here is a summary of some ways they can be used by classroom teachers: INA in the classroom.